For the most part, gardening itself is not really too difficult. The process is relatively simple enough that just about anyone can learn to do it. Organic gardening is simply the practice of using traditional garden techniques to produce a thriving flower or vegetable garden, without the use of harmful commercial chemicals or pesticides. In today's society we have become so used to purchasing a wide variety of chemicals for so many aspects in our lives, that we sometimes lose sight of how harmful those chemicals can really be. This is especially true with the food we eat. If you are interested in starting your own vegetable garden to put food on the table, then you really need to stop and think about the types of chemicals you are putting on those vegetables just to get them to harvest. Plenty of gardeners are growing productive chemical free gardens today and we've put together a guide to show you how it can be done. 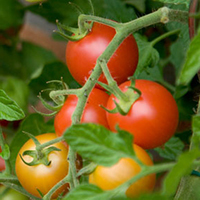 Our guide to organic gardening for beginners will give you a starting point! 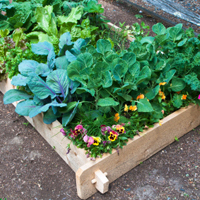 The first step in organic gardening for beginners is to setup your planting area. Now there are a couple of ways to go about this depending on how much work you would like to do. One way to begin is to use a garden tiller or garden fork to turn over the soil and loosen it up. If you like to do the work by hand that's ok, but I much prefer to use a gas powered tiller when first starting my gardens because it makes the process relatively painless. Once you have the planting bed tilled down about 12 inches, you will need to begin raking the soil to remove any leaves, rocks, or other debris. This will also bring out whatever weed seeds you might have hiding in your planting area. Over the next couple of weeks those weeds will start to grow and can be easily pulled prior to planting. You are going to want to begin prepping your garden area a good 3-4 weeks prior to your planting date. 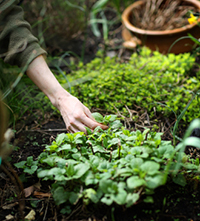 Most gardeners will start working the ground as soon as the weather warms up and the ground is soft enough to work. You start off just like you would in the other method, using a garden fork or tiller to turn over the top 12 inches of the soil, then rake it smooth. However in this method there is no need to spend the next couple of weeks pulling weeds out of the area; however you will still need to remove the rocks by hand, the sun can't help you with those! Go to your local hardware store and purchase black plastic sheeting, enough to cover the entire area you have just tilled. Lay it out flat, making sure to overlap any seams by at least 12 to 14 inches, and then lay out old lumber or rocks around the edges to hold the plastic down and to seal off any airflow. Over the next few weeks the sun will raise the temperature underneath the plastic far above lethal levels for any organics to survive. When you remove the plastic, you will be then starting off with a relatively "sterile" garden plot. 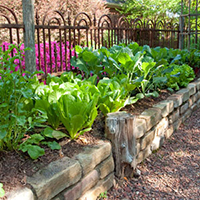 This is a great aspect to organic gardening for beginners. Once you have completed the step of preparing the site, the next step is to test your soil and determine if any amendments need to be added to it. Few of us are blessed with perfect soil so you may find you need to adjust yours a bit to get the right blend. For most gardens this just means mixing in some good compost into the soil to add nutrients. If you find your soil is too sandy or has too much clay, then you will need to adjust it before planting. We have dedicated an entire article on adjusting garden soil under our Raised Bed Gardens section. Be sure to check it out if you need to know what amendments will help you. Most of these listed can be used in organic gardens. 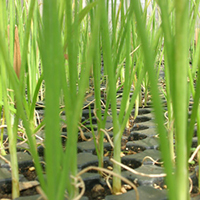 At this point you are ready to start planting and you will need to decide if you are going to plant by seed or by starters, by rows or in masses. The difference between them is mostly insignificant so I would suggest you decide what works best for you and go that route. If you are planting rows then you will need to take a hoe and dig shallow furrows. If you are planting starters in individual holes, be sure to keep a little compost on hand to put in each hole to give the plants an added boost! It's a good practice in organic gardening for beginners to lightly water the soil before planting, but make sure you don't overwater it. Wet soil is a little easier to work with and watering before planting helps protect the seeds or plants. Make sure you don't cover your seeds with too much soil, a light coating will do just fine. Different plants have slightly different starting requirements, so be sure to read your seed packet, or ask your local garden center where you bought the plants from to be sure. While the garden is young, make sure you do not let it dry out, keep it moist without giving it too much water and you will be off to a great start! I hope you enjoyed our simple guide for organic gardening for beginners. Be sure to check out our other articles on organic gardening for more helpful tips and practices.